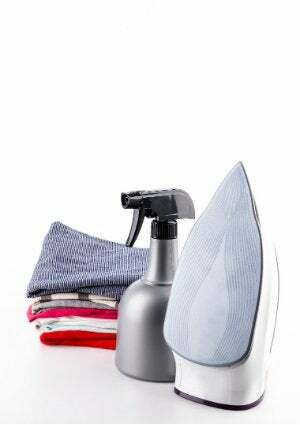 This simple cleaning tip will help your iron glide smoothly over your clothes—and prevent any accidental stains the next time you'd like something pressed. Cleaning your clothes iron probably isn’t at the top of your priority list, but you’ll wish it had been the minute your dirty iron leaves an unsightly stain on your pants or shirt. Keep this from happening by regularly removing built-up residue. The process is so simple that there’s really no excuse for having a dirty iron—all it takes to keep yours clean is a sprinkle of salt. Fortunately, you don’t have to wait until your iron causes a stain to know it needs cleaning. How can you tell it’s time for a good going-over? The answer is easy: resistance. A well-maintained iron will glide effortlessly over clothing, while a dirty iron is more difficult to move. 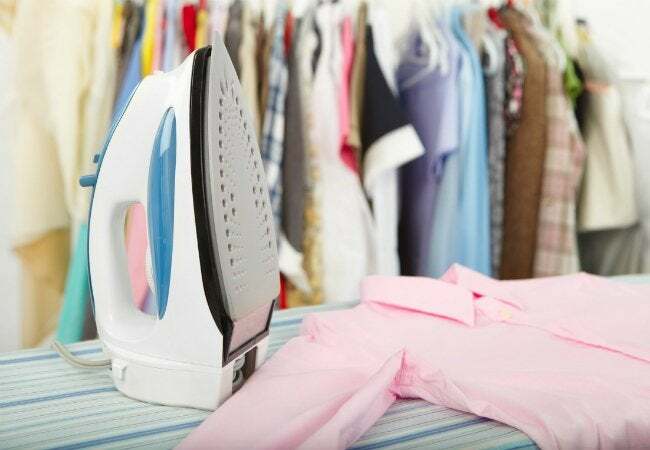 Over time, starch, fabric softener, and melted fibers build up on the iron’s metal plate—also known as the soleplate—making it difficult to maneuver. A dash of salt not only scrubs off stubborn residue, it also offers an inexpensive, environmentally friendly alternative to store-bought cleaners. Begin by placing a flat brown paper bag (one without print) on top of your ironing board, then sprinkle one tablespoon of salt over the bag. While any variety of salt will work, perhaps the best choice is one with a larger surface area, like rock, kosher, or sea salt. (Smaller grains, like those found in table salt, tend to get stuck in the steam holes and can be difficult to remove.) Be sure to set your iron to the highest possible cotton setting—without steam. Once it’s hot, run the metal plate across the paper bag, and continue to rub the iron in a circular motion over the salt crystals. After a minute or two, let the iron cool and brush off any remaining crystals. If your iron still seems sticky, throw away the first batch of salt and repeat the process with a fresh sprinkling. Depending on how long you waited to clean your clothes iron in the first place, it may take more than one try to get the job done. That’s all there is to it! You’d be hard-pressed to find an easier, less expensive solution for keeping your iron sparkling clean and your clothes stain-free.